A reliable source for Pneumatic Actuators information and a resource for accessing leading Pneumatic Actuators and suppliers. 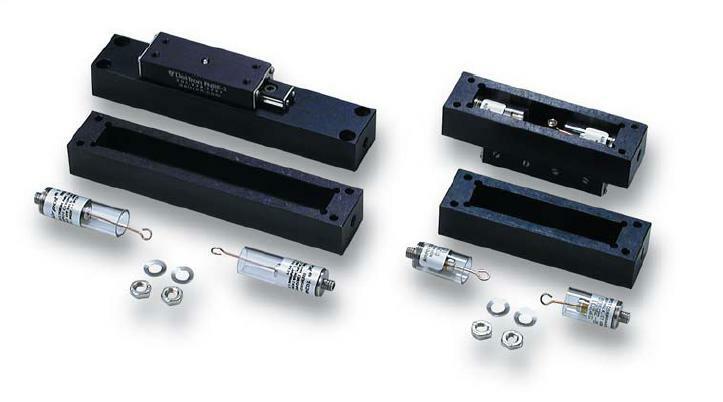 Pneumatic actuators are devices that position control valves using linear motion by converting various forms of energy, typically air pressure, into mechanical energy. In general, pneumatic actuators are affordable, have rapid response times and are simple and easy to control; however, they are also noisy, and their position is difficult to control. There are many different types of pneumatic actuators, including tie rod cylinders, grippers and pneumatic artificial muscles, but the main type of pneumatic linear actuator is a pneumatic valve actuator. One important feature of a pneumatic actuator is the addition of a controller. Pneumatic Actuators Pneumatic actuators are devices that position control valves using linear motion by converting various forms of energy, typically air pressure, into mechanical energy. In general, pneumatic actuators are affordable, have rapid response times and are simple and easy to control; however, they are also noisy, and their position is difficult to control. A controller can be added to pneumatic actuators in order to position the valve according to the demands of the operator. The controller sends an output signal to the positioner that represents the desired position of the valve. The controller is pre-set to maintain a valve position and quickly adjusts in order to correct any deviation of a controlled variable from the setpoint. Pneumatic Actuators - Del-Tron Precision, Inc.
With this and many other optional and beneficial features, pneumatic actuators can be used for a multitude of applications, including pushing, lifting, rotating or transporting products or equipment during various manufacturing processes. Industries that benefit from using pneumatic actuators include automotive, aerospace, biotechnology, pharmaceuticals, food processing, material handling and electronics. A typical pneumatic valve actuator mainly consists of a piston, or stem, a spring and valves, also called ports. 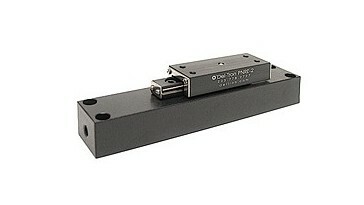 Operating through a combination of air pressure and spring force, pneumatic actuators transmit energy through the stem. A rubber diaphragm is used to create two separate air chambers in the housing; air is supplied to the upper chamber through an opening in the top of the actuator housing. The bottom chamber houses the spring, which applies force to the diaphragm to halt mechanical stops in the upper chamber. A local position indicator is attached to the stem about midway through the bottom chamber in order to indicate the valve's position, which is controlled by the upper chamber's varying air pressure. The positioner is a complex device: on the outside is an input connection for the control valve, a supply air connection, a supply air input connection, a supply air vent connection and a feedback linkage; and on the inside is a network of air lines, linkages, valves, necessary adjustments and electrical transducers. Without air, the spring holds the valve fully open: with an increasing air supply the air pressure‘s force on the diaphragm begins to overpower the spring's force and causes the valve to close. The positioning of the valve relies upon the amount of air supplied to the top chamber. Once the desired position is achieved, the positioner stops changing the air pressuring and holds the valve in place.